Father’s day card is not only for wishes a father to showing your love. I think that love showing with father every day, every second, every minute. So we celebrate this day specially to father’s day. But we should love all the family members. Our grandfather, grandmother also love us. But as a occasional #linascraftclub try to wish all father’s a very happy and enjoyable day. Working father are special thanks. Who work hard for family to live better and their child. Happy Father’s Day. How to make father’s day cards easily? 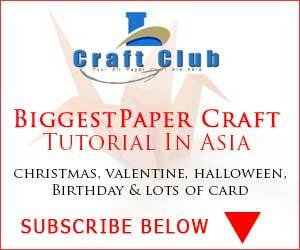 In the video section (upper) I describe and show you how to make a paper card (Father’s Day Card) step by step. I think after watching this video you have not any problem to making a card for your daddy. Unless you unable to watch the video at this moment, I will write for you a step by step tutorial how to make father’s day card very easy for your and your kids. Our all others tutorial are not very complex. We think to make it for pre school baby and kids. We have a kids zone video playlist special for kids only. You need glue to attach the paper each other. Now 6×6 inch paper cutting for main board. Writing the greetings you have on the card. And now its all done. Hope you understand little bit than video how to make a father’s day card. You can now easily make it for your father. Its called homemade card. Because you make it at home. Its also called handmade card also. Friends I’m new in YouTube. Please please subscribe my channel, share my video. Help me to please to grow my new channel.